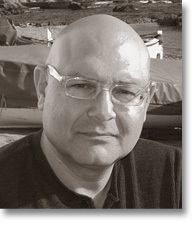 Lawrence Venuti is a translation theorist and historian as well as a translator. He translates from Italian, French, and Catalan. Recent work includes Antonia Pozzi’s Breath: Poems and Letters (2002), the anthology Italy: A Traveler’s Literary Companion (2003), and Massimo Carlotto’s crime novel The Goodbye Kiss (2006). He is the author of The Translator’s Invisibility (2nd ed., 2008) and The Scandals of Translation (1998). He has received awards from the NEA and the NEH and has held a Fulbright in Catalunya. In 2007 he received a Guggenheim Fellowship.